Sometimes the most robust business intelligence (BI) solution does not exactly match your workflows and a more basic BI software that fits your specific scenario is better. Other times a robust BI solution is what you really need, but you’re not sure if a better solution is out there. If you like Tableau, one of the fastest growing BI software today, but want to know how other solutions match against it, this article is for you. We line up five Tableau alternatives, each one with its own strengths and weaknesses and take a detailed look at each of them to help you find the best alternative for your needs. It’s one of the fastest-growing BI solutions in the market today backed by a solid vendor and stellar IPO. Its complex but easy-to-use features and upscale pricing targets large enterprises, even as the software is scalable to medium businesses. It is available in desktop, server and cloud platforms. Tableau claims to be up to 100x faster than most BI solutions, but this comparison is starkest against the low-end solutions. Tableau features a proprietary technology that can interpret data images into db queries. It’s highly visual, allowing users to clearly see patterns and trends and gain insights fast. The BI solution is also notable for its script-free, wizard-free functionalities from executive dashboards to ad hoc reports. Users are not expected to have any programming skills. As you’d expect from top BI solutions, Tableau is great for presenting historical trends, forecasting figures and backing up solutions or problems with compelling data. You can find out more about the software in our detailed Tableau review. If need a detailed list of Tableau alternatives check out our thorough analysis of the available market options below. What are the top 5 Tableau alternatives? Sisense is one of the leading BI solutions today targeting a diverse set of large enterprises including Fortune 500s, such as, Sony, ESPN, eBay, and NASA. The software is noted for two things: visually appealing dashboard and drag-and-drop UI simplicity. There is also a great free demo that allows you to test the software’s capabilities and see how profitable it can be for your company. You can easily sign up for Sisense free demo here. This BI solution features an industry-leading TCO and a proprietary In-Chip engine that makes it one of the fastest to process data. No special scripts are needed nor in-system databases to manage. Deployment is also fast via its Single-Stack architecture. You can see how this software can improve your business analytics by reading our comprehensive Sisense review or find out more about Sisense alternatives later in this article. Birst is ideal for large enterprises, but it can be also quite useful for medium businesses. It focuses on a 2-Tier approach, its term to define the data processing side and user data visualization or querying side. The software is notable for its “shared analytical fabric” or an integrated environment that ensures all users are accessing the same data. Centralized data can be mashed up against local data without compromising the integrity of the former. The software is deployed in three formats: platform and per-user fee; by business unit; or by end-customer. For more details on this solution, you can check our Birst review. You can also find out better Birst alternatives if you find this software lacking in robustness. Domo is an open ecosystem with strong focus on mobile BI functionality. In fact, its mobile platform has the same degree of capability as is its desktop version. It is ideal for organizations of any size especially those that deal with remote teams or a global workforce. The software also stands out for its collaborative nature. It can integrate with different datasets, including social media, spreadsheets, and most enterprise business systems. Domo is positioned as a self-service BI tool for varied user types, from the department staff to the tech engineer. As such, it is easy to use and is conveniently accessible via a single dashboard. It is also useful for users that demand real-time insights. To get more details on this BI solution, you can read our complete Domo review or search for more Domo alternatives. Looker is best known for its language-based approach to creating mini applications within its BI framework. Using the LookML syntax, developers can enhance the data processing capabilities of this software. This makes Looker ideal for businesses with an in-house tech team; otherwise, you’ll undervalue a great part of the software. Despite the focus on its language scripting, Looker is still user-friendly and intuitive enough for the casual user. It can deliver real-time data and generate reports on the spot and shared via email or URL link. The software is also accessible on different browsers and mobile devices, making this a practical tool for field teams. Feel free to read our detailed Looker review for more information on the features and integrations of this software. You can also check other Looker alternatives if you lack a resident developer to optimize this application for you. QlikView claims to be a standalone BI solution, fully integrated with key features and tools so that you won’t need another system to compensate for data processing or visualization. It is powered by its proprietary Associative Data Indexing Engine, which can surface data relationships across various sources. 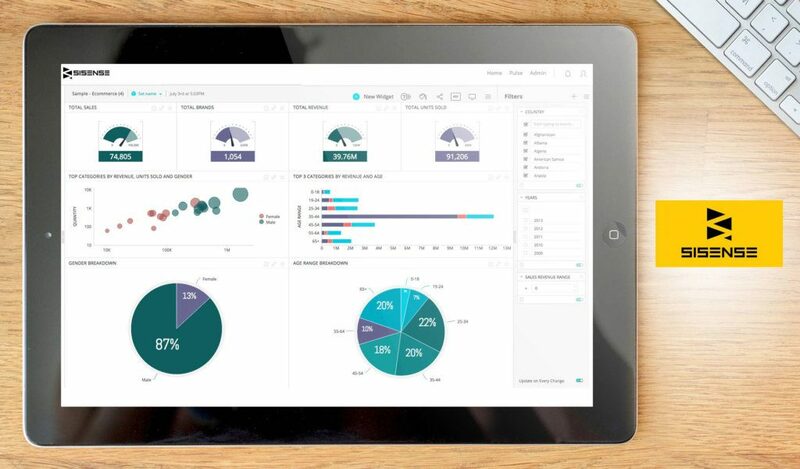 QlikView is targeted at small, medium businesses and can be scaled to enterprise capabilities. The BI software has in-memory business analytics that make it one of the fastest data processors in the category. Despite being user-friendly, QlikView can be very useful to developers who want to script extensions or plugins that they can share in the QlikView Workbench. You can learn more about this BI solution in our comprehensive QlikView review or find out some of the QlikView alternatives that may match your situation better. Now, let’s match all BI solutions and see the best Tableau alternatives based on six key aspects: functionality, ease of use, customization & integration, mobile, support and pricing. Tableau is noted for its ability to tap disparate and huge datasets and aggregate them in one location that is easily accessible to users. It is highly visual, which makes data analysis less complex. Its range of data processing tools that adapt to user cases has become an industry benchmark. Furthermore, its Grouping, Filters and Filter Shelf make data sorting a question of just a few clicks. We also like the idea that it continuously releases functional updates, plus it offers a free reader version for your staff. Perhaps the nearest competitor to Tableau in terms of depth of functionality is Sisense. The latter has the same end-to-end approach to BI, from data preparation and analysis to integration and to visualization. Like Tableau, Sisense features powerful visual reports that allow you to quickly share insights with internal and external teams. But what makes Sisense really stand out is speed: it processes data fast using 64-bit computers with parallelization capabilities and multi-core CPUs. The software can handle a terabyte-level db with ease. Domo, on the other hand, may not have the rich features of both Sisense and Tableau, but it has the better social collaboration features, notably its Buzz, a messaging platform. Likewise, the software puts more creative flair to its dashboard with elements like multipart widgets, trend indicators and sparklines. Domo can also surface real-time data on the dashboard, though it is a standard feature for top-notch BI solutions like Sisense and Tableau. Meanwhile, Looker is focused on speed but with a bit of db modeling prerequisite. Using LookML, its proprietary adaptive language, the BI software lets you create mini-applications to address customized data process cases. Although the syntax is simplified, you need good SQL skills to define measures and dimensions for faster query processes. On the other hand, Birst lacks the rich features of Sisense and Tableau and the language modeling of Looker. Instead, Birst focuses on organizations with decentralized units. The BI solution uses a “shared analytic fabric” where local data can be mashed up with centralized data without compromising the latter’s integrity. Birst uses what it calls a unified semantic layer, which ensures definitions and key metrics are maintained wherever data is processed or accessed. Lastly, QlikView has solid ETL infrastructure; you can use it without the need to integrate it to other systems. But this requires more scripting and debugging, which can weigh down general users. If you have a tech team, you can optimize QlikView’s data visualization, real-time collaboration and search capabilities. Tableau and Sisense are surprisingly user-friendly considering the depth of their features. Both can churn out data visuals with just a few clicks. Users can also discover insights while avoiding information overload. Tableau, however, presents a more challenging initial learning curve. The vendor seems to anticipate this, however, that’s why it offers in-depth online tutorial videos. While they’re definitely helpful, it takes a degree of commitment to finish the tutorials. On the other hand, Sisense’s cleaner UI allows for easier design and data manipulation. It has drag-and-drop features like Tableau while its end-to-end script-less UI allows users to quickly jump on board and start tinkering with the tools. Birst, Domo and Looker also excel in surfacing data but in a more specific way. Domo excels in dashboarding. It uses social media-inspired view cards; it is less complex but also less sophisticated compared to the other BI solutions. As for Looker, we like its ability to auto upload files to Google Docs. If you’re dependent on Google Docs, Looker gives you really flexible dashboarding. On another note, its LookML may be empowering, but it is complex and costly if you change data models regularly. Meantime, Birst is easiest to use as a scalable software. It has some quirks in naming elements, though. For instance, it refers to Dimensions–a standard term in BI–as Hierarchies. It’s a small thing, but can suggest a lack of intuitiveness. The most difficult to understand is QlikView. It requires advanced scripting knowledge to maximize its robust ETL. Sisense and Domo are perhaps the best matches against Tableau in terms of customization and integration. Sisense’s speed in connecting to various data storage platforms and surfacing real-time queries is notable. It may also have better integration than Tableau as far as SOQL queries are concerned. What is more, Tableau has some issues connecting to Salesforce dataset. Sisense is highly extensible via REST API so you can easily tweak deployments. Lat but not least, the software can be customized for multiple user levels. Meanwhile, Domo not only has a rich set of developer tools and APIs, but it lets developers to share their customized apps in the Domo Appstore. For end-users, this means access to plenty of BI plugins that may match their scenario. Looker and Birst have standard APIs for third-party integration and customizable charts, graphs, and reports. Like Sisense, Birst has smooth integration with Salesforce. Lastly, Qlikview prides itself as a standalone BI solution, which may be its weakness if you’re using a few legacy systems. On the other hand, the BI software’s scripts can be customized in great detail, lending to you plenty of data field options. 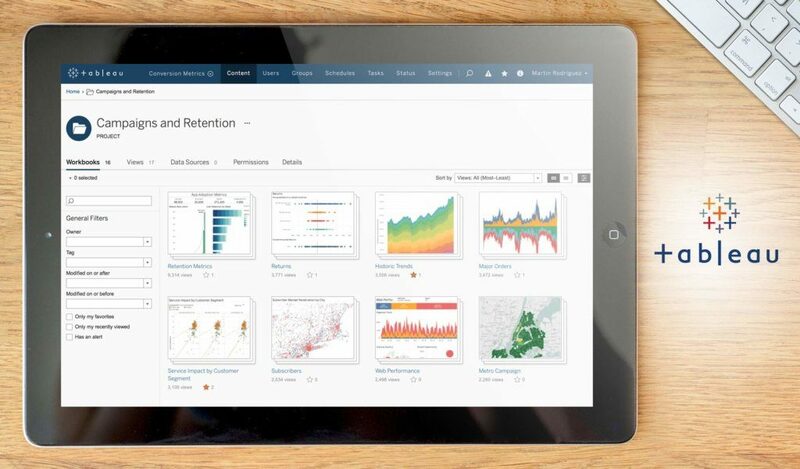 Tableau’s mobile platform is a streamlined version of its desktop functionality. There’s also the inconvenience of logging out to switch from one site to another and its inability to auto-fill recurring logins. Domo, on the other hand, is focused more on mobile experience. Its native Android and iOS apps can deliver the same functions as its desktop app. This is a notable advantage for companies with a sizeable remote workforce. As for Sisense, we like its single-click login. Its folder navigation is easy to follow, while the “recently viewed items” makes file search easy. Looker, Birst, and QlikView are likewise accessible on Android and iPhone, but like Tableau, the functions are visibly streamlined. As for QlikView, it doesn’t automatically resize based on screen display, which makes its mobile platform look a bit archaic. All BI solutions enjoy high ratings for tech support, but some have a unique service that may fit your specific company priorities. Tableau enjoys a robust support community with active forums. You can engage other users for best practices or reach out to company reps for tips. In some cases, fellow customers who have had gone through the same situation as you’re stumped on now can provide a good solution to your problem. On the other hand, Sisense fields an excellent tech support who proactively shares insights and feedback to customers on how to leverage data. More so, Sisense collates user cases so you can emulate other users’ data optimization strategies. Birst, meanwhile, boasts a robust self-service portal via forum or knowledge base. Finally, Domo’s customer support can handle general data analysis scenarios, but may need more training or exposure on situational data requirements to address specific cases. Only Tableau offers fixed plans and an entry price point of $500 per year. The software is offered in five plans: Desktop Personal Edition, Professional Edition, Server, Online and Public Premium. Having fixed plans to look at means prospects can easily estimate how this software fits their budget. However, the nature of businesses using BI dynamics varies so greatly, that you want to get the best value for money based on your needs; hence, a price quotation like the Sisense model is often useful. Sisense has flexible annual plans that also scale to your needs and fixed rates for specific scenarios. Meanwhile, QlikView offers four plans: Personal Edition, Enterprise Edition, Extranet Server, and Information Access Server. It also offers the QlikView Publisher, which is licensed on a per-server rate. Pricing for Birst, Domo, and Looker are available on a by quote basis only so you have to reach out to them to get a personalized offer.